Review Summary: On the whole AASHIQ has a dull script which will limit its prospects significantly. 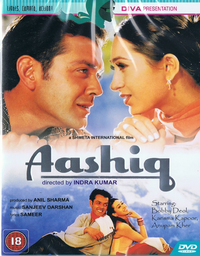 On the whole AASHIQ has a dull script which will limit its prospects significantly. After the failure of Mann looks like Indra Kumar has another failure in Aashiq.